Bali’s popularity as a tourist destination continues to increase at a very fast rate. It is very popular among Australian visitors, but it is also gaining traction in much of Europe, as people take advantage of good holiday deals to pay a visit to these islands. Not only is it becoming cheaper to get there, accommodation is very reasonably priced and visitors do not need that much in terms of spending money. Bali is a large island a nd is part of the nation of Indonesia. On these pages you will find information and blog posts that will help you get a good understanding of what you will find on the island, in terms of culture, diving, snorkeling, nightlife, nature and wildlife and so much more. 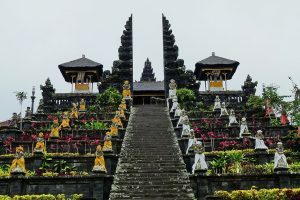 One of the most crucial things to remember about Indonesia is that there is a zero tolerance attitude towards drug smuggling or possession, so it would be extremely risky and unwise to carry anything into the country or purchase anything while visiting. That being said, the Balinese people are very friendly and will go out of their way to help anyone who is in distress. The island really is a gem in terms of natural beauty, but it also has a rich culture that is steeped in various forms of art, including dance, painting, body painting and fashion. While the island itself is rich in tropical wildlife, it is when you put your head underwater that you really get blown away. The abundance of coral reef systems has to be seen to be believed.